Whether you are a sports fan or not, Super Bowl Sunday often brings friends and family together for a night of football, celebration and of course, food. Sometimes dishes are the star of the show in front of the TV or just on the sidelines waiting to refresh you at the kitchen counter. 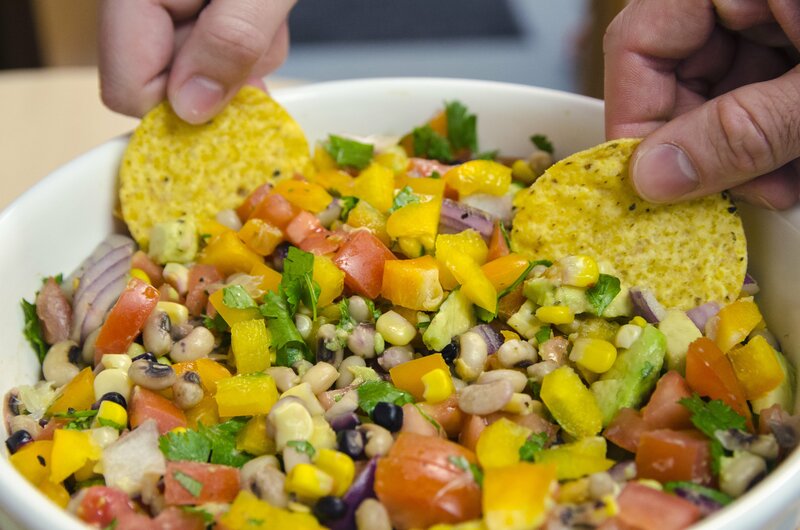 At Stahlbush, we like to huddle around the dip – arguably the most important dish at the party. This year, we’re making it easy to cook-up a quick and healthy dip that still has all the traditional flavors of Super Bowl Sunday. Chop up tomatoes, onion, bell pepper, avocado and cilantro. 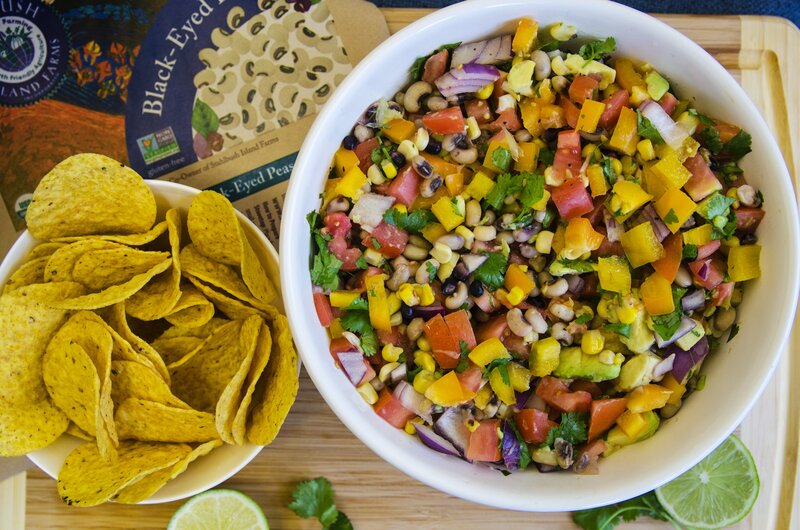 Heat the black-eyed peas and crazy corn in the microwave or on a stovetop to at least 160ºF. Combine all ingredients in a bowl and add salt and pepper to taste. Dig in!